Tupperware is a brand that can be found in all South African homes. Their model and support has allowed thousands of South African women to earn an income at their convenience. 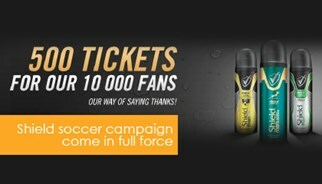 Their latest campaign supports two South African soccer teams, Orlando Pirates and Kaizer Chiefs respectively. Chantelle Webber, marketing manager at Tupperware commented, “Tupperware is all about people, changing lives and sharing opportunities. Partnering with TLC Marketing on this campaign spoke heavily to what we as brand stand for, which is recognition and rewards. We managed to give the consumer an experience outside of what one would expect from Tupperware. 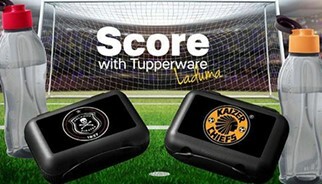 Tupperware is more than a household essential it allows people to come together and so is the case with soccer." 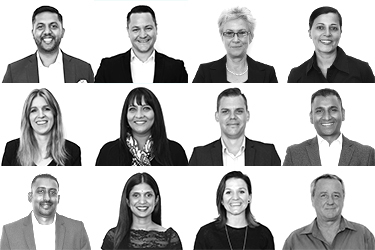 The Assegai Awards acknowledge and awards those whose Integrated Marketing campaigns deliver exceptional results. 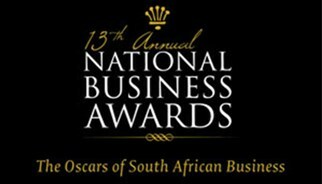 An Assegai Award does not give honours for extravagant production values, enormous budgets or big-name companies. Rather, it recognises breakthrough strategy, creative brilliance and outstanding results in all Direct Marketing media, from mail and print to digital, from mobile to broadcast. Judges are made up of senior decision makers, predominately from agencies and brands from various sectors. 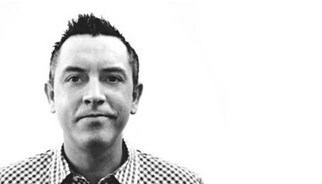 This year that includes our very own Agency Director, Ryan Coomer who among many things is an expert in advertising, marketing, shopper marketing and experiential activations. 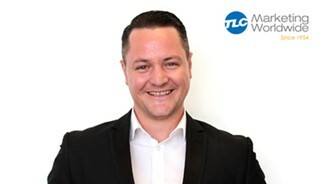 TLC Marketing bids farewell to their former CEO Derek Miller, who will now fulfil the role of CEO for the agency's Chinese office in Shanghai. 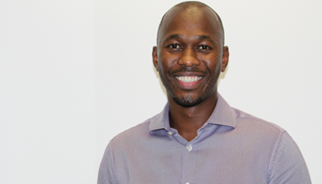 Preneshen Munian, MD of South Africa, will take the reigns as Managing Director for Africa and the Middle East. 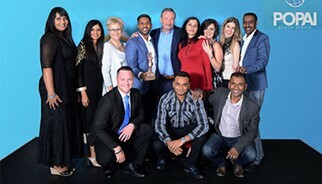 TLC Marketing Worldwide Africa is thrilled to announce a win at the POPAI SA Awards which took place at the Maslow Hotel in Sandton at the end of January 2018. TLC Marketing took home a Bronze award for their Absa Youth Account Offering in the Telecommunications and Financial Services Category. 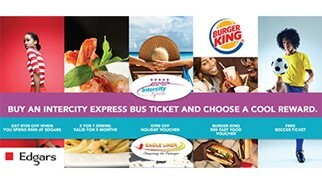 Between now and the 11th of January 2018 Eagle Liner and Intercity Xpress will be gifting every passenger who purchases a bus ticket on either bus liner with a cool reward. 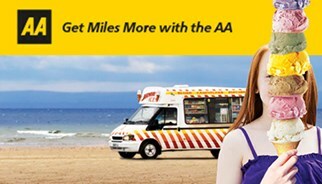 Rewards range from holiday to shopping vouchers, to dining vouchers and even sports tickets – something for every passenger. TLC Marketing Worldwide have finally fulfilled their dream of making over the Diepsloot Community Loving and Care Centre in order to improve the learning environment of the young children at the Early Childhood Centre Development (ECD). 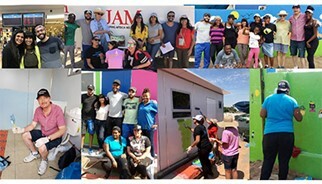 In partnership with JAM South Africa, employees from as far as Italy and Portugal, together with the Johannesburg team worked on the make over the Diepsloot Community Loving and Care Centre. We are hiring! Could you be our new Senior Art Director? You’re a Senior Art Director who is a team player, keen to take responsibility and run with projects. You have strong conceptualising skills and you’re an awesome designer and typographer. You’re also brilliant with all relevant softwares, including web design and animation. You need to be open minded, bring a can-do attitude and try things differently to your standard agency. You will work together with the Creative Director but also know how to guide and grow young designers. 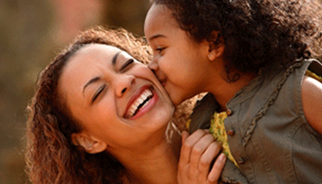 In celebration of Mother’s Day across the GCC, NESTLE S26 PROGRESS GOLD wanted to reward mums for being mums! Sometimes it’s not easy feat, and Mum’s require some time out to themselves. That’s why when consumers who purchased any promotional Nestle Wyeth Nutrition S26 Progress Gold Milk or S26 ProKids Gold Milk received a free pampering session. Consumers were requested to enter the unique code found on pack on the dedicated microsite www.progressgoldrewards.com . Once validated, the consumer could proceed to select a pamper session of their choice ranging from manicures to massages. Every validated code was entered into a draw to win free Tuition worth AED 30,000. With Ferrero every day is a Funday! Ferrero teamed up with TLC Marketing Worldwide to run their recent “Funday” campaign across the GCC (Saudi Arabia, Arab Emirates, Kuwait, Oman, Bahrain, Qatar).The concept of Fundays was created in order for the brand to emotionally engage with Millennials. 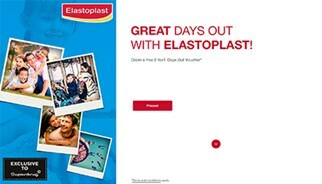 Consumers who purchased any participating brands during the campaign period were prompted to create a personal profile at www.fundays.net where they were able to load the points found inside each pack. An online catalogue allowed consumers to use the points collected to redeem various fun activities. But it did not end there because for each 100-point collected, the consumer was automatically entered into the final draw for a trip for four to Universal Studios in Los Angeles. TLC Marketing Worldwide takes home a Gold and Silver at this year’s POPAI Awards! 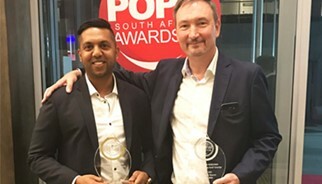 TLC Marketing Worldwide Africa is thrilled to announce a double win at the POPAI SA Awards which took place in Sandton last night. 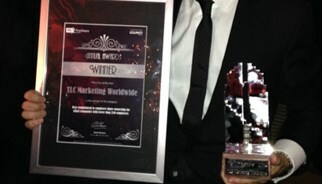 TLC Marketing took home a Gold award for their Absa Youth Campaign in the All Services:Permanent & Temporary category. TLC was awarded a Silver award for their Namaqua Sweet Rose Retail campaign in the FMCG - Tobacco & Liquor:Temporary Insight into Action category. The POPAI SA Awards recognises excellence in point-of-purchase advertising displays and instore communication activity produced and placed in South Africa. The awards cover 20 categories, including digital media in retail (DMiR) and is open to any designer or producer for point-of-purchase (POP) material. The entries are judged on a number of aspects, including marketing objectives and strategies, innovation, construction, use of retail space and communicative value. 1.All persons (“Participants”) entering the Panasonic TV Weekend away Promotion (“Promotion”) agree that the Promotion rules, as set out in these terms and conditions (“Terms and Conditions”), shall apply and are binding on them. 2.TLC Marketing Worldwide (Pty) Ltd (“TLC”) and Panasonic (South Africa) (Pty) Limited are collectively referred to as the “Promoters” in respect of the Promotion for purposes of these Terms and Conditions. Being passionate about designing and creativity since high school it is no surprise that the career of Ulrieke Rutter has blossomed from being the Junior Graphic Designer to the Senior Creative Designer of TLC Marketing Worldwide. We spent a minute with her to understand how she works and why she loves working at TLC. As Senior Creative Designer, what process do you go through when working on a brief? The process starts with a meeting discussion with the creative team once we receive a brief from the client. We then research the brand that our company is set to work with. The research comprises of determining the target market of the brand as well as looking at their competitors and their campaigns. We then go on to brainstorm ideas for the brand which is always much of fun. This is the period where the team share laughs and jokes it’s just incredibly memorable for me. With that aside, we go forward with selecting the best rewards for the campaign idea and then we split different tasks within the team. The next part is the best, the designing stage which I absolutely take pleasure in doing. This is where I can unleash my creative side and go mad designing! 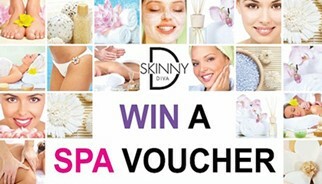 Skinny Diva Spirit Coolers are giving their Divalicious consumers a chance to win a spa voucher and be treated like a Diva for the day in their latest campaign. All the consumer needs to do is purchase any 6 pack of Halewood Skinny Diva Coolers and send their till slip via Whatsapp to stand a chance to win 1 of 250 spa vouchers. This national campaign runs from the 1st of September to the 31st of October 2016. 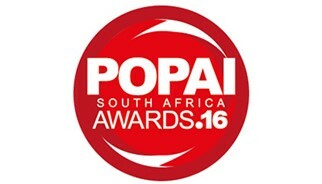 POPAI Awards selects our CEO to be part of judging panel again this year! The awards cover 20 categories, including digital media in retail (DMiR) and is open to any designer or producer for point-of-purchase (POP) material. The entries are judged on a number of aspects, including marketing objectives and strategies, innovation, construction, use of retail space and communicative value. The judges are made up of experienced industry professionals and our CEO Derek Miller has been invited to be part of the panel yet again this year. Intel says Thank You to consumers! 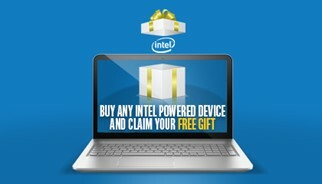 Intel is saying Thank You to consumers who buy any Intel powered laptop from selected retailers. 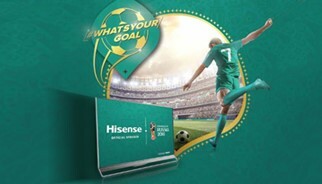 The Thank You gifts range from movie vouchers to sports tickets and even family holidays.The consumer is required to purchase any laptop with an Intel Core I7,I3/5 or Celeron processor in order to qualify for the the relevant gift.The campaign runs from the 1st of August to the 30th of September. Panasonic South Africa’s tagline is “you deserve better” and this is not only inherent in the design and manufacturing of their products, but also in their latest campaign for their range of cameras. 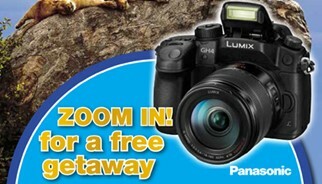 Panasonic is rewarding every consumer who purchases any Panasonic Camera with a FREE Weekend Away. Each Weekend Away is for 4 people and the recipients can choose from over 40 beautiful destinations around South Africa. The campaign was launched at the beginning of July and runs to the end of January 2017.
nternet security giant Kaspersky Lab UK launched a promotional reward campaign directly aimed at driving sales of Kaspersky Total Security 2016, Kaspersky Internet Security 2016 and Kaspersky Internet Security – Multi Device 2016. 1. 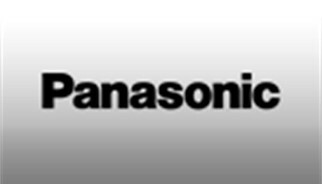 All persons (“Participants”) entering the Panasonic Camera Weekend away Promotion (“Promotion”) agree that the Promotion rules, as set out in these terms and conditions (“Terms and Conditions”), shall apply and are binding on them. 2. TLC Marketing Worldwide (Pty) Ltd (“TLC”) and Panasonic (South Africa) (Pty) Limited are collectively referred to as the “Promoters” in respect of the Promotion for purposes of these Terms and Conditions. 3. This Promotion (“Promotion”) is open to all persons of the age 18 years or older and resident in South Africa, except the employees and their immediate families of the Promoters, Promoters advertising and Promotion agencies, associated companies, and outlet owners and staff. 4. This Promotion commences on 1 July 2016 and shall run until 24h00 on 31 January 2017, subject always to any early termination or extension thereof by the Promoters as contemplated in these Terms and Conditions. 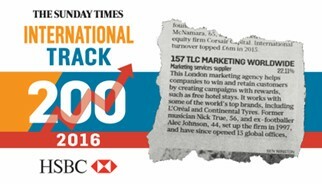 Published on 12th June 2016, the seventh annual Sunday Times HSBC International Track 200 league table ranks Britain’s mid-market private companies with the fastest-growing international sales. 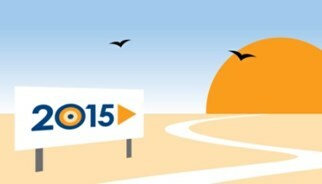 This year TLC Marketing were ranked at 157 – an increase of 20 places from 2015. Other businesses which feature in the table include beauty products manufacturer Neal’s Yard Remedies, travel search engine Skyscanner and fashion retailer Misguided. 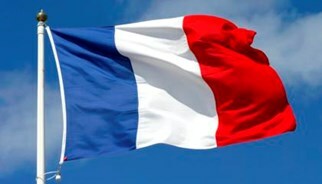 PNA is Adding Colour to your day! PNA is Adding Colour to your day, by giving consumers a free movie ticket to watch the family blockbuster Finding Dory. PNA is well known for the promotion of family values and this campaign will definitely provide a memorable family day out. All the consumer needs to do is spend R150 or more at any PNA store nationwide and WhatsApp their till slip to the number provided on POS. 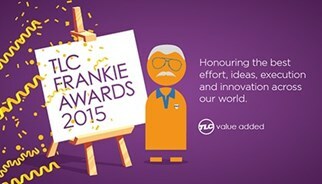 PNA have partnered with TLC Marketing to provide them with this awesome reward. 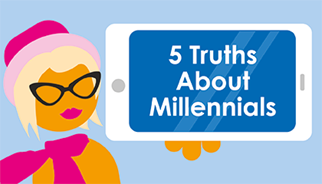 Just as the banking and other industries started wrapping their heads around Millennials, a new wave of consumers is poised to reshape our world: Generation Z. Generation Z, also known as iGen, Screenagers or the New Millennials, is the group of young people born between 1996 and 2010. Labelled as engaged, creative and confident, they are the first truly digital generation as most of them have never lived in a world without Internet access. We are hiring! 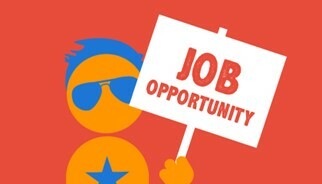 Could you be our new Business Development Manager? TLC Marketing Worldwide -Africa is looking for a new Business Development Manager (Sales Executive) to join our team at our Sandton office. As the market leader in incentive based campaigns we ran over 700 campaigns globally last year. Our South African office is growing at an exceptional rate with plans underway to expand our African footprint. If you are a self-motivated, hardworking individual who loves conceptualizing and selling promotional campaigns then you could be one for us. Applicable candidates should have a minimum of 5 years sales experience. Your holiday does not have to be over –Thanks to Tropitone! 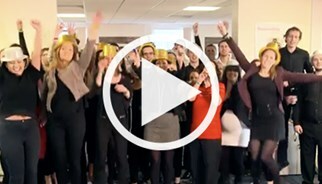 Tropitone have partnered with TLC Marketing Worldwide to run their ‘Your Holiday Does Not Have To Be Over’ campaign. To help consumers create new memories with their friends, Tropitone is giving away 30 weekends away to consumers. Each weekend away is for 4 people and the winners can choose from over 40 beautiful destinations around South Africa. The campaign was launched at the beginning of February and runs to the end of April 2016. Due to the unprecedented success of last year’s Global awards, TLC Marketing will be repeating the ceremony this year in a much more lavish fashion. TLC Marketing is excited to announce a new addition to their team, Lee-Anne Finlay who joins the agency as Sales Director. 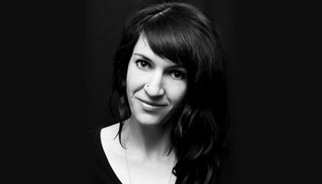 Her core focus will be leading and directing the sales team in line with the agency’s strategic objectives. 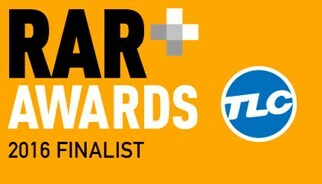 TLC Marketing are delighted to announce that they have been awarded a 1 star accolade from Best Companies, the workplace engagement specialists. The Best Companies Accreditation Standard follows the elite Michelin style star rating system for organisations that demonstrate high levels of employee engagement. Just two points off of a two star ‘outstanding’ award, TLC Marketing UK was voted as one of the best places to work by staff themselves. 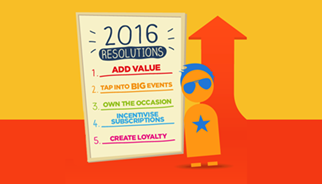 How can brands stay stong in 2016 and beat the war on price? How can brand values be retained and long term customer loyalty be obtained? Add value and retain brand values. Don't feel forced into a cycle of discounts, we found 49% of customers actually considered special promotions to be very important in their decision making process when buying personal care products online. Special promotions don’t have to be price led, instead give your customers a purchase incentive that means something to them, enhances your brand positioning and doesn’t hurt your bottom line. To tap into big events. We are set to have an action packed 2016. With Wimbledon, the Olympics and many other big events happening this year there is a wealth of opportunities to tap into. 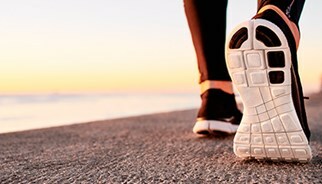 Tap into the health trend by offering your customers free sports lessons and wellness treatments designed to pamper and energise consumers in the new year. Own the occasion. 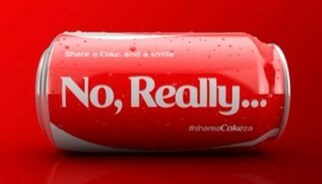 How can brands own the occasion? At TLC Marketing we have a dedicated Premiums team who can source anything you need perhaps a branded beach towel to upsell suncream, a free magazine or book stand to help sunbathers get the most out of their time in the sun, anything is possible. Just drop us an email and speak to our team. Incentivise subscriptions. Nearly 40% of consumers who regularly purchase health and beauty products online say they're signed up for a subscription service. When it comes to products that consumers use regularly, subscription and loyalty services remove the need of having to make frequent trips to the store. Rewarding these subscriptions makes for a more loyal consumer base. 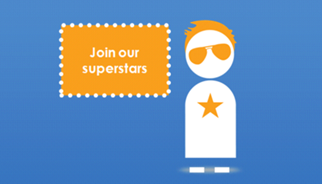 Get in touch with the TLC team to find out which one of our 1,500 partners you could work with. Create Loyalty. Earlier this year TLC Marketing worked with Rite Aid to provide 5 tiers of rewards for the new year, rewarding those loyal to the brand with tailored treats! The programme was a resounding success with a sales uplift of 11%. Get in touch with our team and see how we could do the same for your brand. TLC Marketing have announced their partnership with video on demand service (VOD) Wuaki.tv enabling their clients to launch blockbuster campaigns. 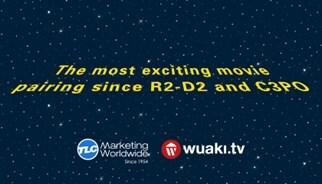 The new partnership will combine the impact of the revolutionary Wuaki.tv service and TLC Marketing’s expertise in building sales promotion, acquisition and retention campaigns. Customers will have access to over 1,200 films. “Our clients need to build a more comprehensive relationship with their customers by offering something which earns emotional engagement. Wuaki.tv does just that. Opening up a world of film promotions. Whether it's a 2 for 1 card or credit for a film rental we’re seeing more and more customer demand for streaming services so we’re delighted to work with the best in the business” says Andrew Spratley Group Partnership Director at TLC Marketing. 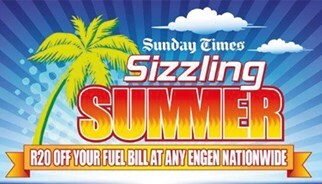 To celebrate Summer the Sunday Times partnered with TLC Marketing to execute the Sizzling Summer Campaign. Consumers who purchased the Sunday Times each Sunday from 15 November to 13 December are entitled to the special offers featured per week.TLC used their powerful partnerships to reward everyone purchasing with the opportunity to receive a Netflorist voucher, a shopping voucher and a R20 fuel voucher from Engen. The campaign was communicated in the newspaper, on social media and via the radio. 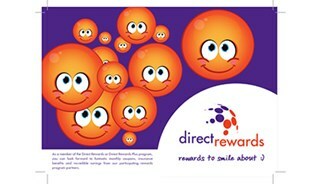 Direct Benefits is aiming to make their clients Smile by offering them affordable lifestyle benefits. The company which specialises in affordable private healthcare solutions has named the benefits programme Direct Rewards. Cosumers can choose from two lifestyle options for a monthly fee. 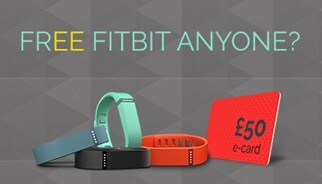 They have partnered with TLC Marketing to provide them with relevant rewards to plug into their lifestyle benefits programme. Rewards range from Netflorist vouchers to shopping vouchers and even sports tickets. TLC Marketing is excited to announce a new addition to their team, Ronnie Malden who joins the agency as Creative Director. Her core focus will be leading and directing the creative studio in line with our strategic objective of providing clients with integrated 360 degree campaigns. Ronnie, is an award winning Creative Director and has over 20 years of advertising experience having worked in South Africa, the UK and Europe for large international agencies including JWT, Lowe & Partners, Saatchi & Saatchi, McCann Erickson and Ogilvy & Mather. She has worked on many brands during her career ranging from Unilever, Head and Shoulders, Nestle, Kellogg’s to The Bank of Scotland, and Motorola. Her national and international accolades include a BAFTA, a Loerie and The Gold American Effectiveness Award to name a few. 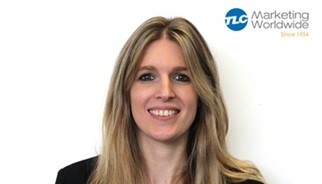 Malden commented, “I’m thrilled to join TLC Marketing - Africa and look forward to the new challenge of using creativity to bring our offering closer to the clients’ brands." This year TLC joining are in, and doing so in style*. We’ve got marketing men in 13 countries taking part in the upper lipped challenge (check out our website homepage), all of them sacrificing their dignity, their partners’ kisses and their ability to eat puff pastry in a dignified manner! 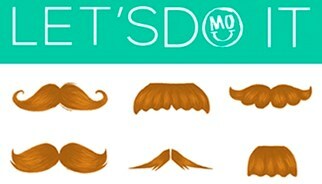 Keep checking our blog to watch their taches (and donations) grow! TLC Marketing's Campaign for Namaqua speak to the concept of bringing friends together.Namaqua are experts in crafting wines to be enjoyed, pure and simple. 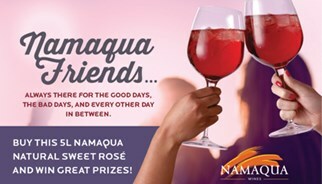 And the best way to enjoy wine is with friends.Namaqua is the conduit for shared experiences with friends, hence the campaign Namaqua Friends. The objective of the campaign is to increase sales whilst connecting with consumers. 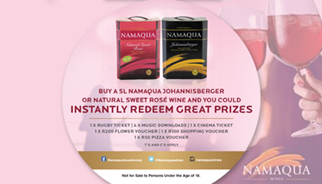 When the consumer purchases a box of Namaqua Sweet Rose wine they will be required to enter via a USSD line using a unique code to receive their instant rewards. Rewards range from a movie ticket, to music downloads and even pamper vouchers - rewards that you can experience with friends.The campaign is being commumicated on pack and through POS. TLC Marketing is excited to share our first campaign in the petroleum sector for BP. The objective of the campaign was to increase spend at BP petrol stations. BP plays in a competitive fuel category with players like Shell, Engen, Sasol, Total and Caltex hence needed a campaign to differentiate themselves in the market. 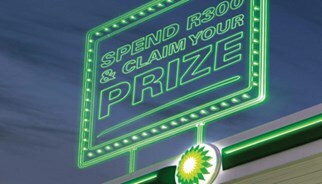 Consumers who spend R300 or more at any BP petrol station nationwide stand a chance to win one of five fantastic rewards. Rewards range from Netflorist vouchers to sports tickets and 2 for 1 Movie Cards. Consumers will need to visit the dedicated mobisite, fill in their personal details and upload their till slip in order to enter.The campaign will run for two months and ends on the 20th of December. The campaign will be communicated through POS and on Radio. TLC Marketing's first 2 Campaigns in the Middle East ! Wow your customers with the latest blockbusters, the funniest comedies and action packed dramas! We’ve helped brands like Garnier and L'Oreal Paris acheive a sales uplift of 30.9% and 20% respectively by connecting their customers with our cinema campaigns. South Africa has the hottest releases coming up – from the much anticipated The Hunger Games: Mocking Jay part 2, Star Wars Episode 7 and The Peanuts Movie to name a few. With such a broad reach cinema campaigns can be completely targeted your customers. 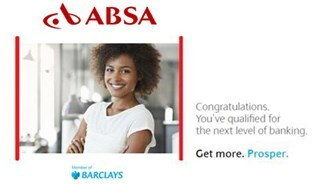 Absa has teamed up with industry specialists TLC Marketing to reward graduates who open a Gold Graduate Account as they start out their careers. 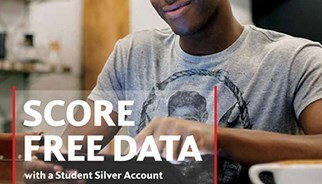 Not only will graduates who open a new Gold Graduate Account (Gold Value Bundle Cheque Account) enjoy the benefit of a discounted rate of R25 per month on their banking fees for seven months, but if they transact three times within 30 days of opening the account they qualify to receive a spa treatment or an adventure activity for free! 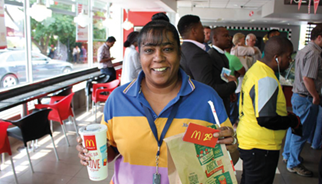 McCain campaign gets customers smiling! 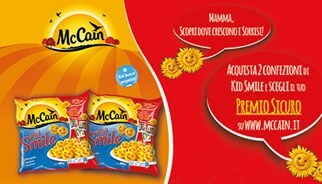 McCain is spreading smiles across Italy with the help of TLC Marketing Worldwide. The campaign developed by TLC aims to amplify the core values of the brand outside of the home – making kids smile all across Italy at fantastic days out venues! The campaign follows the core values associated with the McCain brand, it’s product range and in particular the Kid Smile product -their famous "smiley faces" made with potato. From August 7, 2015 to October 31, 2015, all consumers who purchase two packs of Kid Smile will be rewarded with a day out at venues ranging from animal farms to theme parks. Consumers will be required to retain their receipts, join Club McCain on www.mccain.it and follow the prompts on the promotional page. The campaign will be communicated on pack, through a dedicated section on the official website and communicated through POP and social media. 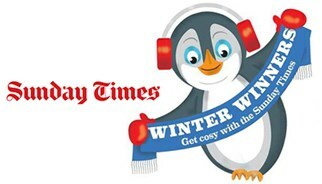 To warm up the Winter blues the Sunday Times partnered with TLC to execute the Winter Winners Campaign. Consumers who purchased the Sunday Times each Sunday from August 2nd-23rd were entitled to the special offers featured per week. What better way to warm up ,then with a movie and popcorn or a yummy pasta at your favourite restaurant.We used our powerful partnerships to reward everyone purchasing with the opportunity to have a night out to see the latest blockbuster or visit a restaurant of their choice courtesy of the Sunday Times. The campaign was communicated in the newspaper, on social media and via the radio. 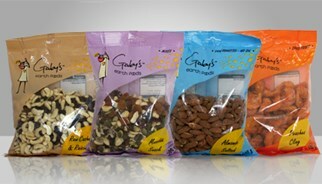 At just 23, Adriano Salgado has taken over as Director of this family run business, Gaby’s Earth Foods. From humble beginnings 20 years ago to a thriving brand distributed nationally and in some African countries , the brand has grown to be a true South African success story. Now some may say it is a mammoth task at just 23 but this is not the case for this dynamic, down to earth young man. 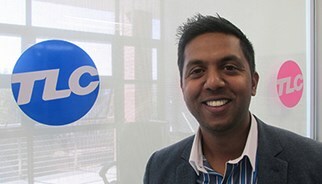 TLC Marketing Worldwide-Africa sat down with Adriano to find out how he is adjusting to the role and to find out what he has planned for the company going forward. TLC CEO Mike Scalera sat down with industry expert and CEO of Loyalty 360 Mark Johnson to talk Relationship Marketing and TLC’s unique approach to promotions. The segment, hosted by Donald Trump Jnr explores the importance of connecting with customers on an emotional level and how this approach is leading the way in increasing sales and creating brand advocacy, loyalty & retention for TLC’s clients. 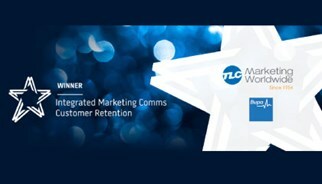 TLC Marketing takes pride in its position as the industry leader in delivering unique experiential reward campaigns to customers. TLC brings a brands positioning to life through fun and engaging Travel, Leisure and Lifestyle rewards, creating a strong emotional connection between people and a brand. 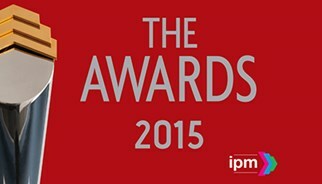 The campaign for Added Value Everywhere has also scooped a DMA Award and DRUM Marketing Award so far this year. 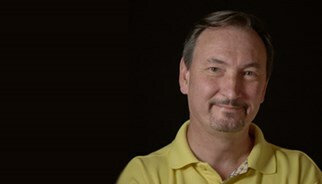 John Pearson, managing director of TLC UK, says: “We’re over the moon with our trophies. Although our A.V.E campaign was always meant to be tongue-in-cheek – we truly believe in its sentiment. Price is obviously an important asset of a product, and it makes sense for manufacturers and retailers to use it. But price promotions are tactical, not strategic, and should be planned that way. Back To School. A time when coupons and rand off promotions reign king. You only have to step into retailers to see brands devaluing themselves with half-price backpacks, drink bottles, school stationary or 2 for 1 lunchbox snacks. Clothing retailers often fall victim to price cutting and bundling too, by discounting school shoes, apparel and accessories. 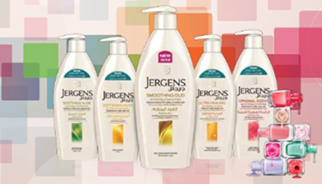 There is a proven way to stand out on shelf while simultaneously adding value. Offer something amazing, something fun; experiences that are exciting to your demographic. TLC Marketing creates emotional connections between brands and their customers by delivering the most engaging rewards and experiences, tailored to each demographic. Don’t forget that weary parents have spent the school holidays chasing after children and juggling work with kids at home; they deserve to be rewarded. Spa treatments or the chance to kick back with dinner and a movie are the perfect treat. 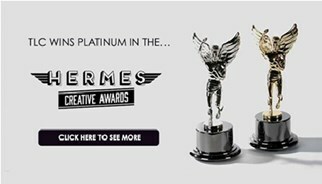 TLC Marketing Worldwide has won Platinum in The Hermes Creative Awards 2015, an international awards competition. TLC Marketing is proud to announce a new addition to their dynamic team, Ntsiki Balfour who will head up the Partnership and Content division of the agency. He will be responsible for the strategic direction of TLC’s partner relations, both for independent networks & key brand partnerships. He will be tasked with innovation of the department including leading the local digital transformation of some of TLC’s core reward networks. Ntsiki has over 12 years experience in the media, sales and marketing industry, working for the likes of Viacom, ETV and the SABC. “The communication value chain is constantly evolving and challenging marketers to come up with communications that integrate seamlessly into the consumer’s life and respond to the ever fragmenting communications mode. “ I’m really excited to join TLC Marketing as they embrace this change and are pioneers in incentive marketing-led campaigns that inspire consumers to react in a way that our clients desire...” Ntsiki Balfour. Mother’s Day is the one day in the year devoted to our mums. Therefore it’s imperative that we let them know how special they are. But do you know what mums really want for Mother’s Day? Here at TLC we’ve been talking to brands worldwide about how they can create campaigns to make mothers feel special and give them what they really want. Quality time with family: According to a recent survey by PriceGrabber, 44% of mums would like to spend more quality time with family. 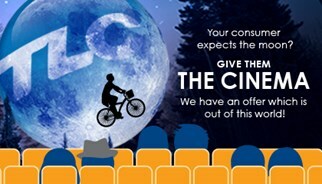 Imagine a campaign which allowed just that, like the campaign we ran for with MLC insurance in Australia http://www.tlcmarketing.com/Market/au/Article/Post/MLC-Insurance-Entertainment-Pass- where we offered 2 for 1 Cinema tickets and 2 for 1 “Days Out” with the renewal of a policy. Organic foods are continually growing in popularity and are no longer a trend or an alternative to mainstream food products. 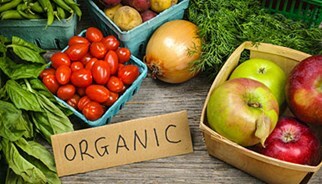 Organic foods are part of the mainstream, they are here to stay. Not only are organic foods here to stay, they are taking over the aisles and don’t come cheap. While fresh produce is the biggest organic item, consumers are looking out for organic milk, snacks, baby products, cooking oils, juices and even dog foods. 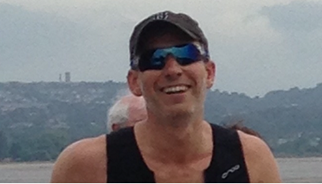 There is too, a constant increase in the popularity of health, herbal and fitness supplements. *Organic baby food is a growing segment in the organic market as more and mothers choose to bring their children up as naturally as possible. This consumer is desirable as they are willing to spend big in the name of organic at the same time as sales of other FMCG products sit reasonably still. With this competitive nature, brands must start looking towards promotions that invite trial, reward purchase and excite the customer. They must resonate with the Moms who only want the best for their families, and the boomers who are looking to live a healthier, more active life. 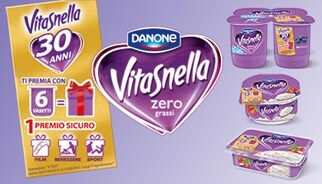 TLC Marketing Worldwide is excited to announce the launch of the new promotional campaign developed for Danone Vitasnella in celebration of the brands 30th anniversary. From March 18th to 15th September 2015 consumers who purchase 6 jars of Vitasnella will be rewarded with either a 3 month subscription to video on demand service, a week of yoga or pilates classes or a pamper treatment. To redeem the rewards consumers will need to visit http://30anni.vitasnella.it/ and follow the prompts. The campaign is communicated on pack, through social media and in store via POS. “Ask not what your customers can do for you. Ask what you can do for your customers”, this was one of the 5 Golden Rules of Loyalty communicated by Preneshen Munian Agency Director of TLC Marketing Africa to delegates who attended the annual Brand Equity and Loyalty Conference is Johannesburg last week. 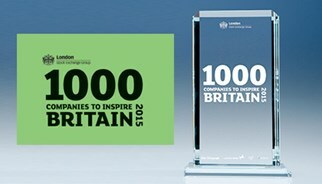 TLC Marketing’s success has been recognised in The London Stock Exchange’s 1000 Companies to Inspire Britain 2015 report, showcasing the most inspiring and fast growing small and medium-sized companies. 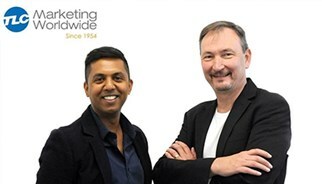 The marketing agency’s accreditation has been judged taking into account growth, visibility in market, increase in clients and growth in number of employees. Nick True, Chairman is delighted the business has been recognised “This is a great moment for us as a business, we are passionate about what we do here at TLC Marketing and are always striving for the best for both our clients and staff – and our growth is a reflection of that company wide attitude”. TLC Marketing has proven their growth potential, with 2013 – 2014 figures showing a 30% revenue growth rate YoY . They have an expanding client base which includes 52 out of the top 100 brands* including McDonald’s, Coca-Cola, Samsung and Barclays. TLC Marketing is a global marketing agency specialising in value-added reward campaigns, operating out of 13 countries with their global HQ based in Marylebone, London. 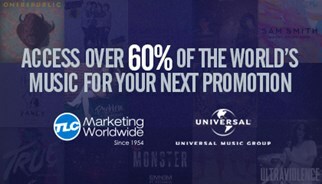 www.tlcmarketing.com. With the Rugby World Cup coming up this Spring brand sponsors are already in planning mode, but what can you do as a non-sponsor to leverage this opportunity? Here at TLC we understand how to create the perfect reward campaign. 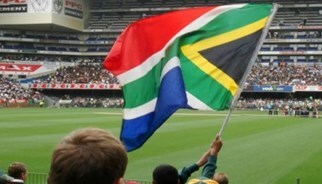 Check out South Africa sports campaigns here. TLC Marketing’s Managing Director for Africa, Derek Miller commented: ‘Music is one of the world's main forms of entertainment which reaches almost everyone. We are delighted to be working with the world leader in music which will bring access to up and coming local African artists as well as international artists all via our exciting joint promotions. I can hear this space rocking already’! 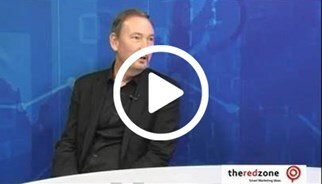 Our Managing Director, Derek Miller, was interviewed by Jeremy Maggs from The Redzone. Derek advises on how to Add Value to your brand. 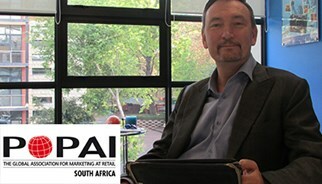 In the interview Derek also delves into the importance of brand building in South Africa, how incentivisation with purchase helps build loyalty to a brand and how a reward campaign has to be totally intune with the brand positioning and customer profile. Watch the interview here. In celebration of the festive season KFC has launched the Festive Bucket Campaign, promoting their 21 piece bucket. KFC rewarded their customers purchasing a 21 piece bucket during the festive period by giving them a chance of winning their share of R3 Million worth of R100 Edgars gift cards. 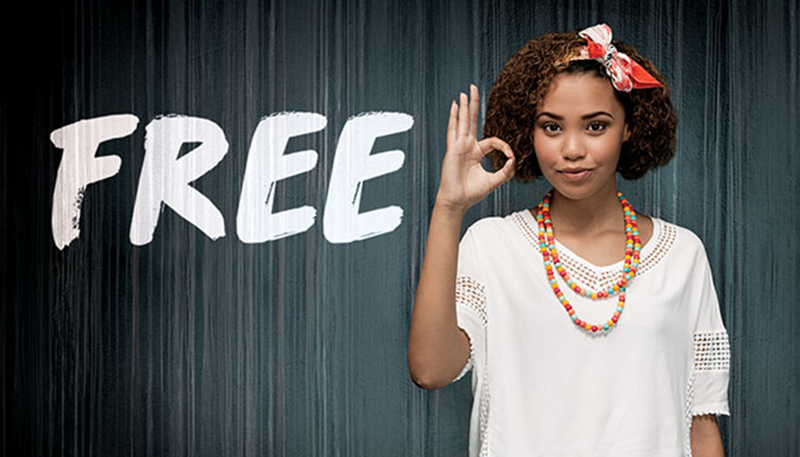 KFC and Ogilvy & Mather Johannesburg partnered with TLC Marketing to activate this campaign. TLC Marketing provided the rewards and Ogilvy & Mather Johannesburg worked on the through the line creative executions. Make your Festive season So Good with KFC! We expect a burst of new businesses aimed at helping marketing professionals simplify their work load. The breadth of channels, the volume of data and the expectation of real time responses will drive companies to look for simplifying solutions. According to Adobe 64% percent of marketers expect their role to change in the next year and 33% are confused over their role and responsibilities. 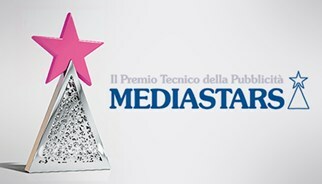 TLC Marketing Italy is proud to announce another great success at MediaStar Awards 2015 – the 19th edition of one of the most important Advertising and Communications awards nationwide. 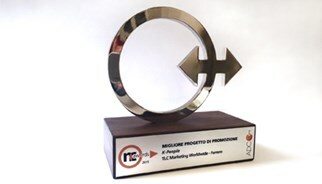 The agency has conquered the first place with “Zuegg Passione e Talento” in the Competitions/Everyone Wins Promotional Campaigns as well as winning a Speial Star mention for “Puoi Contare su Clarins” creative materials. The prizes were awarded by a qualified team of more than 70 professional coming from the comms/ADV/agencies world. 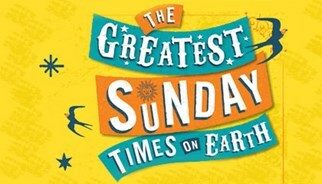 To drive circulation and celebrate summer, Sunday Times have started ‘The Greatest Sunday Times on Earth’ campaign which runs from the 26th of October to 16 November 2014. Each Sunday eligible readers will be rewarded with various vouchers ranging from shopping to holidays. TLC Marketing is proud to announce the wonderful results from the 11th annual Press and Outdoor Key Awards held in Italy, organized by Media Key. The prestigious event took place at the Iulm University (Mlian) on Tuesday October 7th, 2014. 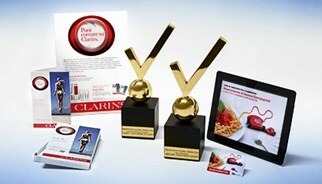 The agency was awarded with a glorious first place for both the “Puoi Contare su Clarins” and “A cena in buona compagnia” (Direct Line) campaigns. 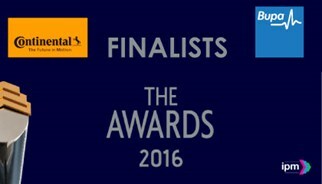 These were judged as the best in both the Integrated Promotional Campaigns and Direct Marketing categories. 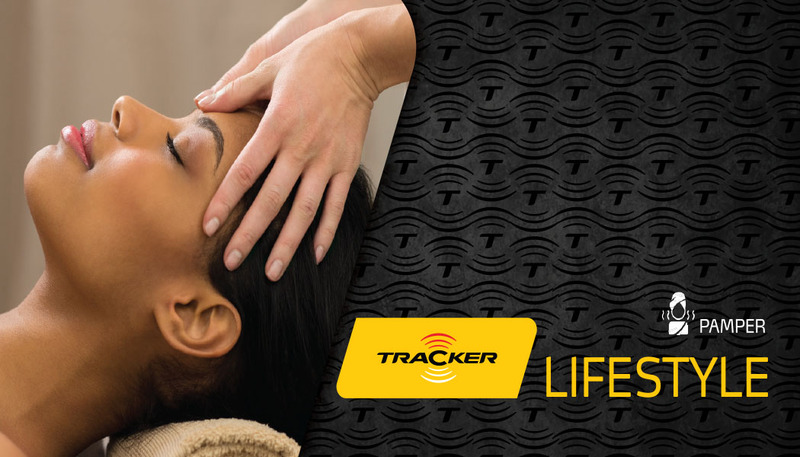 To drive circulation and celebrate Women’s Day in South Africa, Sunday Times rewarded eligible readers with a R150 Health Spa voucher for a pamper treatment of their choice. Upon the purchase of the Sunday Times on the 10 of August, the reader received a R150 Health Spa Voucher. Readers were requested to SMS ‘SPA’ to the allocated number in order to receive their redemption code. 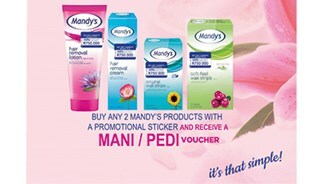 Pamper rewards include a selection of facial, back massage, manicure and pedicure. With the advent of exciting summer sports upon us in South Africa from the Currie Cup to the PSL, we at TLC Marketing felt there was no better time to announce the creation of a new division specialising in Sport Marketing. The growing Sports industry and its connection with the world of promotional campaigns, sponsorships and events is a reality. Marketing Week recently reported that Pepsi and Britvic credited marketing around major sporting events such as the World Cup and the Tour de France for boosting drinks sales in Great Britain in the last quarter. 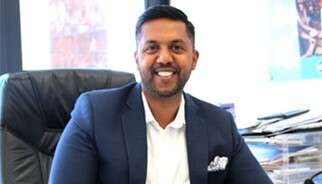 Companies should re-examine their promise of value, says Preneshen Munian, Agency Director of TLC Marketing Worldwide South Africa. "As the economy shifts into a lower gear, many companies are moving from advertising glitz and product features to talking about value. We see marketing campaigns speak of 'more for your money' or 'cost plus 3%', but often those campaigns fail to move the sales needle," says Munian. Munian, is acutely aware that a company needs sales volumes to counteract the drop in margins that many of these "value campaigns" call for. This exposes the company to greater financial risk if sales do not materialise. South African companies spent R19bn on promotional marketing in 2013 - but only 26% of that was on value-added promotions, with the rest on price promotions. 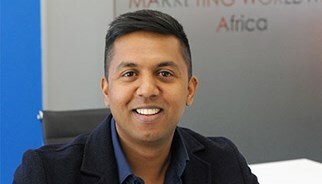 Derek Miller, Managing Director of TLC Marketing Africa, advises on how promotional marketers can correct the imbalance. Everyone knows the four 'P's of marketing: Price, Product, Promotions and Place. Last year SA marketers spent a massive R19bn on promotional marketing: only 26% of that was spent on value-added promotions, according to a recent market sizing study by TLC South Africa. Naturally ATL marketing took the majority share of this, in order to maintain brand awareness and value for money.The rest was channelled into discounts, which suggests that even with the recession moving behind us, it looks like many brands' first thought is to discount. “Differentiate. Don’t discount, add value”, this was the advice given by Derek Miller, Africa Managing Director of TLC Marketing Worldwide at the POPAI SA Retail Leaders Shopper Marketing Conference held on the 21 of August in Johannesburg, South Africa. The enlightening conference was attended by brand custodians, retailers and category specialists within the retail marketing industry. Topics discussed consisted of various point of purchase and shopper marketing associated research and development. 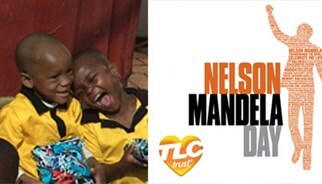 A difference is exactly TLC Marketing South Africa made on Mandela Day for the children at Diepsloot Community Care Centre. The children were treated to hotdogs, juice, chips and with each child receiving warm winter essentials at the end of the morning. It was truly a heartwarming and gratifying experience for all those that attended. “Care, Connect, Grow, excite your current consumers! You can only break frontiers by being different, challenging yourself, ideas, and selecting rewards that fit your consumer’s needs” this was the recommendation given by Paul Appalsamy, PDI Director of TLC Marketing Worldwide, to attendees at the annual Loyalty and Rewards conference held in Johannesburg last week. The conference covered key topics surrounding the advancements of loyalty programmes in and around South Africa such as: the importance of digital platforms for customer on-boarding, gaining a competitive advantage in the industry and especially in South Africa, building CRM through innovation and technology and tools that are viable to utilize in order to maintain a good content management system. Shield wanted to increase awerness of their new Shield men aerosol cans. Upon liking them on facebook you recieve a soccer ticket. Any updates made on their facebook page will automatically update on the potential target markets facebook page- constant communication. 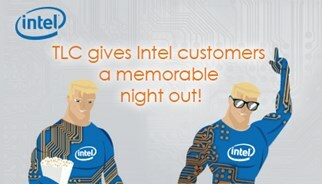 TLC Marketing worked with Intel to bring their character and brand to life and provided a free nightclubbing pass to every consumer on purchase. That’s exactly what the team at TLC Marketing is proposing to some of our biggest brands in SA. TLC Marketing has scoured the entire country creating partnerships with some of the best kids sport providers – everyone from swimming schools in Gauteng , dance schools in Western Cape and soccer academies in Kwa-Zulu Natal to create their ‘free sports lesson’ reward. According to www.the-diet.co.za, it is estimated that 1 in 5 South African children is either overweight or obese, with 20% of children under the age of six being overweight. This is mainly due to poor diet and lack of exercise. Children who play computer games or sit in front of the TV all day long don't get any exercise and thus their bodies do not burn as much energy as they should.